Pour ingredients into a stainless steel shaker over ice. Shake until ice cold. Strain into a large shot glass, and serve. 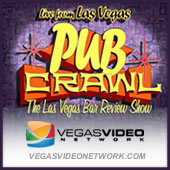 Dave and Alicia embark on a beer and chicken finger marathon in this episode of Pub Crawl. Together they recount a bar that’s firkin cool, and a hole in the wall that has some of the best food they have ever eaten. 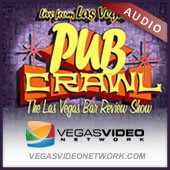 Shake well and pour into an old fashioned glass..
Pub Crawl walks on the wild side this week as Dave and Alicia recall an “Adventure” that takes us from martini lounges to “bear” bars. Last Call (How not to get thrown out, throw up, knocked up or knocked out): Learn how to play video poker, which is useful if you are being comped drinks for playing.